BMW is the current top seller in the luxury car segment and the second spot is currently with Audi. Audi easily replaced Mercedes-Benz for the number two spot which was a great achievement and now its time to go for the top manufacturer spot. 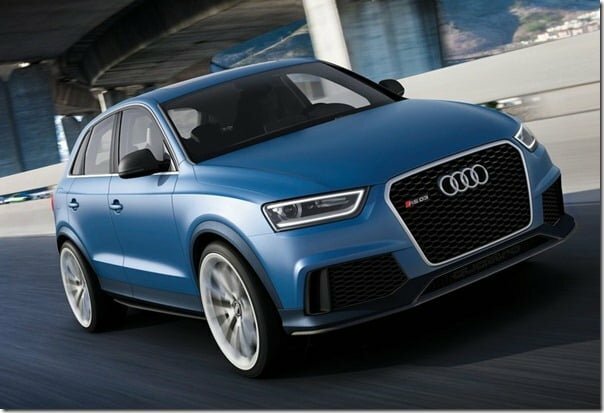 The first and important step that Audi has taken recently was the launch of the Audi Q3 SUV. The Q3 is in competition with the BMW X1 and has been priced quite close in spite of the fact that it is bigger and better. Obviously Audi cannot reply on the Q3 only as it strongly wants to be on the 1st place and therefore it has a couple of plans that will most likely increase its chances of replacing BMW. Now this Volkswagen owned brand is planning to add another model to its portfolio line-up. The new car will be added to its popular Q family and will be named as Audi Q2. Yes it will be a compact SUV that will be positioned below the newly launched Q3. Some may think it will be a smaller vehicle but the company assures that despite being a little smaller it will be a full fledged SUV. As per the official news the company will unveil the concept model this year at the upcoming Paris Motor Show, while the production model will come by 2015. Drawing inspiration from the Quattro Rally Car and Volkswagen’s Cross Coupe Study, the Q2 will look a little different but will retain the typical Audi character. The car will be based on Volkswagen’s newly developed transverse-engine MQB Platform which recently made a debut with the upcoming Audi A3 sedan. 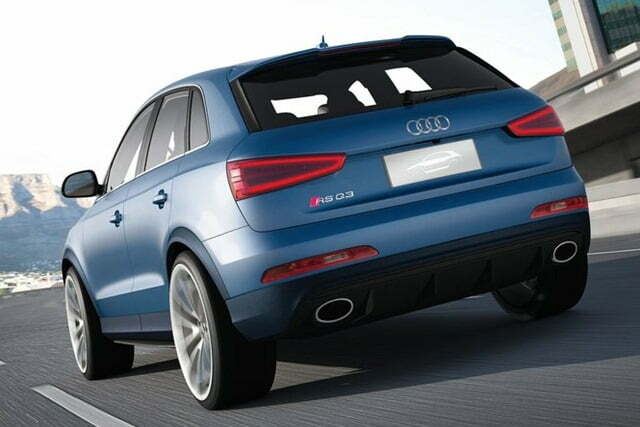 Speculations say that Audi will offer the Q2 in two petrol and three diesel engine options. Expected power outputs for the engines are 120 BHP and 170 BHP for both 1.4 litre petrol engines respectively, while the 1.6 litre diesel delivers 110 BHP and the rest of the two 2.0 litre diesel units deliver 150 BHP and 180 BHP respectively. The Q2 will compete with Mini Countryman and will hopefully offer a lot of goodies.So let us wait and watch when the car will officially be launched. The company is also planning to launch the A3 alongside but is carefully studying the market before concluding the best body style that will suit the Indian customers.